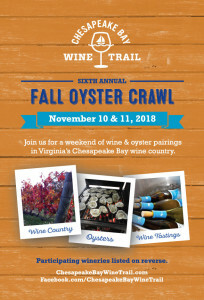 Join us Saturday and Sunday for CBWT’s 6th Annual Oyster Crawl. (Nov 10 & 11). 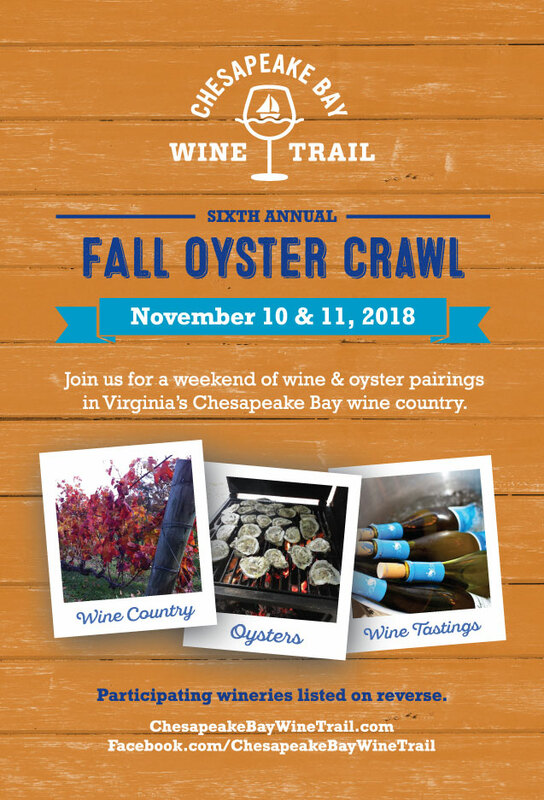 We’re pairing our newly released 2016 Vidal Blanc and 2017 Rose` with a hearty oyster stew. And don’t forget to stock up on VFV Coffee Infused Chocolates and our own wine soaked Gourmet Vine Wood Chips for your BBQ and Smoker. See you at the Vault and have a Happy Thanksgiving! Be Sociable, Share Vault Field Vineyards! Sommelier and wine enthusiasts selected Vault Field Vineyards In a blind taste test! We, at Vault Field, believe fine wines are made in the vineyard. The care of the vines is yearlong, starting with hand pruning during winter months. Our award winning wines are the result of a marriage between an exceptional terroir and the latest techniques in viticulture. We hope you enjoy the fruits of our labor with family and friends. Copyright © 2014 Vault Field Vineyards. All Rights Reserved.